L. Lin Wood and Todd McMurtry, attorneys for Nicholas Sandmann, released a statement Monday addressing an editor’s note issued by The Washington Post last Friday about their coverage of the Covington Catholic boys. “The Post has now double-downed on its lies. As Nicholas’s lawyers, we will now double down on truth and aggressively continue our legal efforts to hold the Post accountable and obtain justice for Nicholas in a court of law,” the statement concluded. 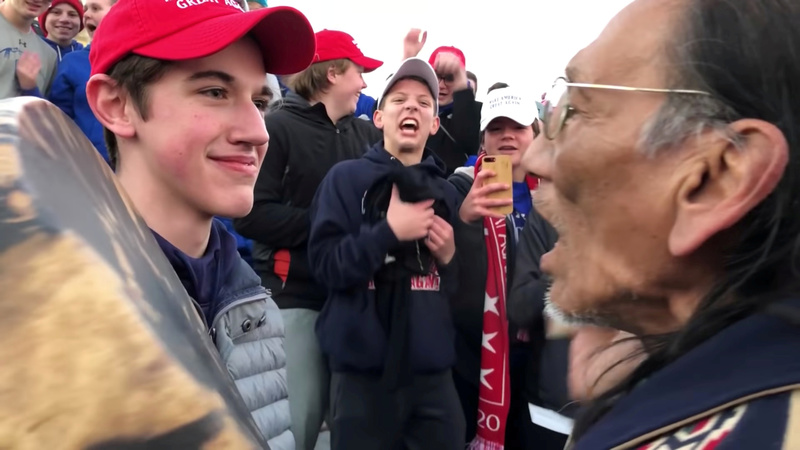 Multiple media outlets and figures disparaged Sandmann, a 16-year-old Covington Catholic student from Kentucky, when a brief video clip circulated on social media showing an interaction between him and Nathan Phillips, a Native American activist. In the aftermath of the media coverage, Sandmann’s attorneys filed a defamation suit against The Washington Post for $250 million.